Dallin Boardman O.D., was raised in Idaho Falls, Idaho. He completed his educational training in Biology at Brigham Young University-Idaho and his Doctor of Optometry degree at Pacific University College of Optometry in Forest Grove, Oregon. Dr. Boardman is excited to return to Southeast Idaho to raise his own family. He specializes in low vision rehabilitation, ocular disease, specialty contact lenses, and surgical consultation and post-operative care. In his free time, he enjoys spending quality time with his wife and three young spirited boys. As a family, they enjoy service in church activities, music, outdoor recreation including backpacking and fishing, and learning about animals. He also enjoys serving in scouting where he himself gained many invaluable lessons as a youth and had the privilege to earn the Eagle Scout Rank. He is currently accepting new patients and desires to start a long and lasting relationship to care for you and your family’s eye needs. 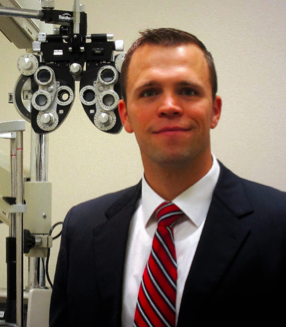 Clinical rotations proved invaluable as Dr. Boardman has developed specialties in low vision rehabilitation, ocular disease, contact lenses, and surgical consultation and post-operative care. His first rotation was at LasikPlus outside of Portland, OR, where he gained critical skills in qualifying and managing patients to undergo Lasik or PRK surgery. Next, he served in the Veteran’s Affairs hospital in Spokane, WA, which provided crucial experience managing and diagnosing ocular diseases: cataracts, macular degeneration, glaucoma, diabetic complications, double vision, and other forms of blindness. 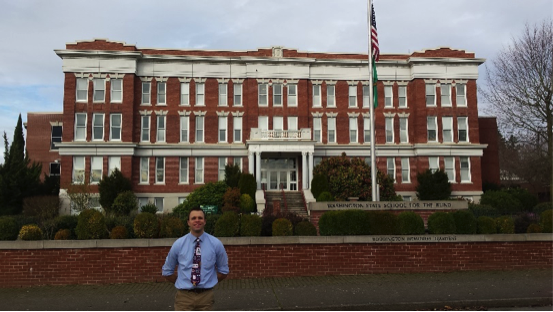 Upon finishing at the VA, Dr. Boardman returned to Pacific University to practice in low vision rehabilitation and ocular disease. Here, he obtained vital experience at the Washington State School for the Blind. In this specialty clinic, he examined and learned the intricacies to prescribe low vision aids to both school children and geriatric patients. From his success here, he received the William Feinbloom Low Vision Award from his university in recognition of his high aptitude in the clinical care of low vision patients. During the same timeframe of practicing low vision rehabilitation, he gained competency with neuro-optometry cases and unexplained vision loss or visual disturbances. At the neuro-optometry clinic in Hillsboro, OR, he utilized special equipment (i.e. mfERG and VEP) and ancillary testing to explore unexplained vision loss and other related visual disturbances. Lastly, Dr. Boardman completed his clinical rotations at Not-Tsoo Gah-Nee Indian Health Center in Fort Hall, ID. The focus included primary eye care, emergency visits, and a high volume of ocular disease cases to the Sho-Ban tribal population including diabetic management and retinal examination.